My good friend turned me onto Scentsy a few months ago. I love her for it because they are absolutely fabulous. Scentsy candles do not get hot. Believe me I know too. then baby Hulk would not be able to find it. I freaked out thinking oh gosh he's going to burn himself. I grabbed him up spilled some on me and realized it wasn't even hot. and it is safe for my busy body boy who gets into everything. 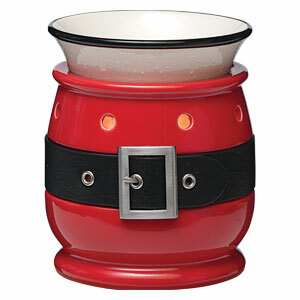 warmers are pretty cute as well. a Plug-in of their choice as well a Scent bar of their choice. A retail value of $25. 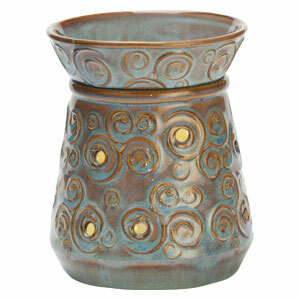 welcome her into the Scentsy world with big support. you will get 5 bonus entries into the giveaway. Now is a great time to stock up on holiday scents and gifts. 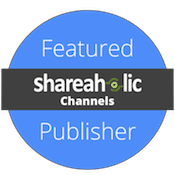 Go here to have a look around. christmas santa and cinnamon bar! Boho chic and the pumpkin roll would lookgreat and make me hungry! 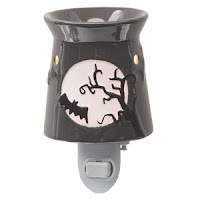 I'd get the Fright Night Plug-In Scentsy Warmer and the Black Ruby fragrance. I think I'd choose either Charity or Silent Night. And Pumpkin Roll. Awesome... I would like the Rustic Star Plug-In & probably go with baked apple pie! I would LOVE LOVE LOVE the fright night plug in, and the pumpkin marshmallow bar!!! YUMMY!! !